It's pretty easy to imagine why kids from Birmingham, Stockholm or Seattle might play depressive music, but coming from Santa Monica suggests Baywatch, The Beach Boys and surfing rather than a sludgy down-tuned stoned riff attack, mixed with skilled drumming and fat organic bass lines. Axe-master and Intronaut frontman Sacha Dunable proves how wrong these preconceptions can be. We talk about their new album „Valley of Smoke”, what it means to be progressive and how much they like coming to Europe to tour. California Über Alles! Your previous 2008 album „Prehistoricisms” was simply great. What did you want to do with the new record? Top it, try something new? Sacha: I think we had a different mindset for a new album. „Prehistoricisms” was much colder and harsher in sound and atmosphere. This time we wanted it to be more musical. With more melody and harmony. The singing developed a lot, which we didn't plan. It just came out naturally. We just thought it would be good to bring some variety to our style and sound. What expectations do you have with „Valley of Smoke”? Sacha: It's pretty simple. We hope poeple will find the record interesting and we have more opportunities to tour and play shows. You have made impressive progress since 2006's „Void”. Did it take much effort? Sacha: We obviously put lots of effort and work in our music. Lately we spent some more time on developing vocal to be able to do something more than just 45 minutes of shouting. We are now much stronger as mucisians compared to 2006. We jam a lot and we practise some cover-songs as a warm-up before the rehersals. What songs do you usually play? Sacha: Sometimes it's just some crazy stuff such as playing over Primus bass lines or something like that. We as well like to do some Alice In Chains and Led Zeppelin songs. 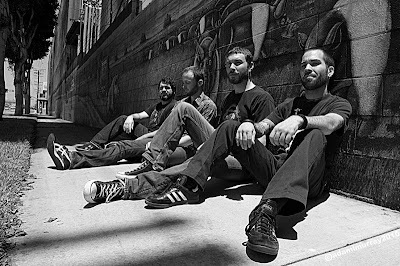 Would you agree with Intronaut being called a progressive post-metal band? Sacha: I don't really care about what labels people give us but I can understand why they need them. It just helps some new listeners to figure out what we are about. One of the goals for Intronaut is to avoid labels and cliches so I can agree with „progressive” but only if it means trying something new. Some bits of your music seem to be improvised. How do you write? Sacha: Most of it is being written during rehersals and jams but I do write some riffs at home too and then present them to the rest of the band. We usually start with one part and build the track based on it. There is hardly any improvisation in both our records and live performances. 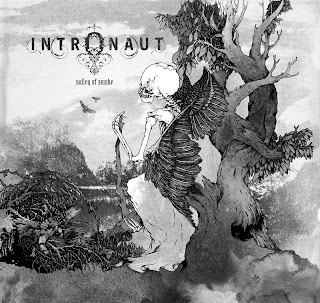 What music influeced the way Intronaut sounds? Sacha: We are influenced by a vast variety of stuff, which are not easy to point out. At the earlier stage it was some doom, sludge and grindcore but our guitar and bass players Dave and Joe are massive jazz guys. They can talk about jazz for hours. So you can imagine it's a mix of different experiences and styles put together. You have toured the US and Canada with Helmet lately, in October-November 2010. Is Page Hamilton really a great guitar player? Sacha: It was just awesome to do that tour since when Helmet's „Meantime” and „Betty” came out (circa 1992-94) I was at school and I loved those records. I think Page is actually a better guitarist now then he was 20 years ago. We had a decent reception. The crowd was rather older. More people at our age. Not many teenagers at all. Just proper music fans. It was really cool to do that tour. What part of California are you from? Is Los Angeles really as a dangerous city as portrayed in such films as „To Live and Die in LA” or „Colors”? Sacha: I actually live in Santa Monica, which is located just at the seaside and surrounded by Los Angeles County by other three sides. Los Angeles is a huge city. It's really spread-out. There are so many different neighbourhoods and areas that it is difficult to speak of it in general. I think films you're talking about show LA in the 80's. It has changed a lot since that. Some areas that had some certain reputation are much better now. Los Angeles is huge so definitely there are tons of bands there. Who do you hang around with and who are you friends? Sacha: We share a rehersal room with Lightning Swords of Death. They are a black metal band. Ancestors are very good friends of ours. Their doom/sludge stuff is awesome. We tour together quite a lot. How did you came across Century Media? Sacha: I have known some of the guys from the US branch for years. We have been flatmates with some as well. So it's not that we have just got the call straight from Germany and signed a paper with some people that we have never seen. Working with them is just great. We are happy about the cooperation. The year is slowly coming to an end. What records did you find interesting in 2010? Sacha: I really loved Cloudkicker's „Beacons”. It's a one-man band from Ohio. 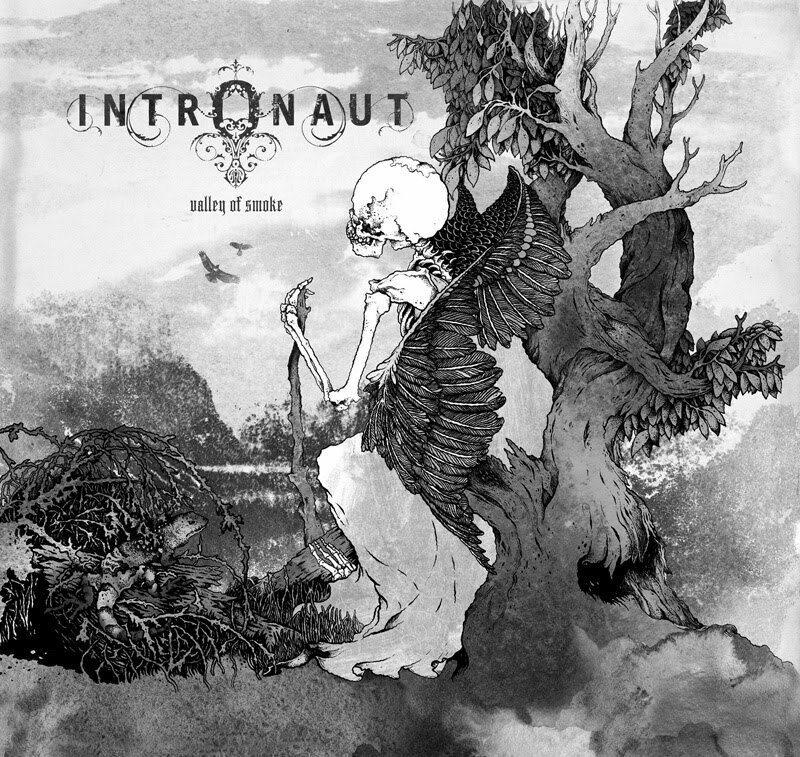 It's got some of the same vibe that we have at Intronaut. It also reminds me a little bit of Meshuggah sound and feeling. I think Immolation's „Majesty and Decay”, Nails' „Unsilent Death” and Horseback's „The Invisible Mountain” are very good records too. I think Danny's new band Murder Construct that just signed with Relapse put out pretty quality self-titled album. It's grindcore. What are your touring plans for 2011? Sacha: There is a European tour somewhere there coming but it's not really planned yet. We are doing some touring in the States first. We have been to Europe once previously in 2007 and would really like to return. We were a very new band at the time. I think Europe is more artist-friendly than the US. There is more appreciation. People and promoters seem to care much more. There is more freedom. In the States we are always bugged by specific laws and restrictions in different states. For example the time show has to finish etc. What were last three gigs that you went to? Sacha: It was Watain. I'm not a very big fan but my girlfriend is and she got us tickets. The other one was Suffocation, The Faceless and Decrepit Birth. I have been a Suffocation fan for a long time. I would never imagine those guys actually ever heard of Intronaut. I spoke to their drummer Mike Smith and he told me he loves our music. I was both shocked and happy. The third gig was Saviours. They are a pretty young band but they play old-school heavy metal. 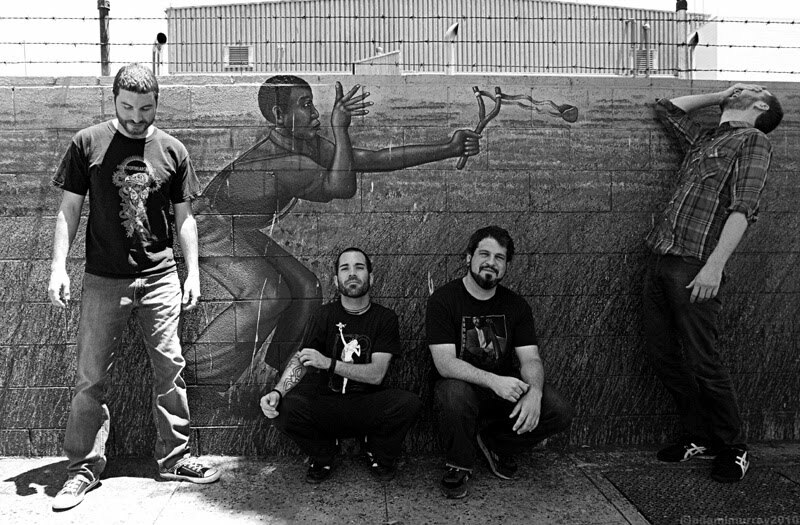 What did you do to Warlord Clothing people that they have about 20 Intronaut t-shirt designs? Sacha: Hahahah! They guy behind Warlord isa friend of ours Bruce Reeves – ex-Phobia bass player. He has as well been in Destroyed in Seconds. Well, we were giving him all the designs over the years so it somehow got to that number. Do you appreciate heavy metal solo guitar players such as Steve Vai? Sacha: I don't really listen to that kind of music. I think Vai is quite cool but it's usually not my thing. It sounds bit corny to me. It's like elevator music. I would rather like to listen to George Benson.